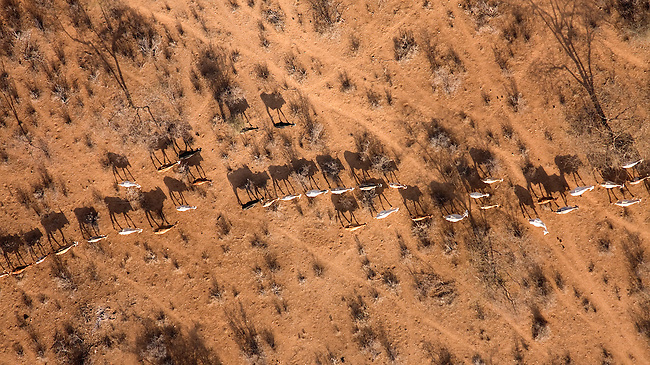 ..Samburu livestock (and shadows), as seen from the air,illegally entering Samburu National Park searching for food and water. . The worst drought (2008-2009) in more than a decade has killed most of the Samburu tribeman's livestock and threatens their own survival. ..